My first coffee was, as for many people in Holland, coffee from a pour over machine with a filter. As I got older I started taking coffee a little bit more seriously so I bought a Quickmill machine. When the first machine started to fall apart I bought a second one, the classic 820. 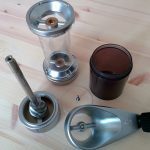 The first grinder I used was a Hario manual grinder (later followed by a Porlex grinder) which is great for pour over coffee but is struggling when you desire a finer grind for espresso. I used it with the Quickmill 820 machine and it worked quite well, or at least I thought so at the time. 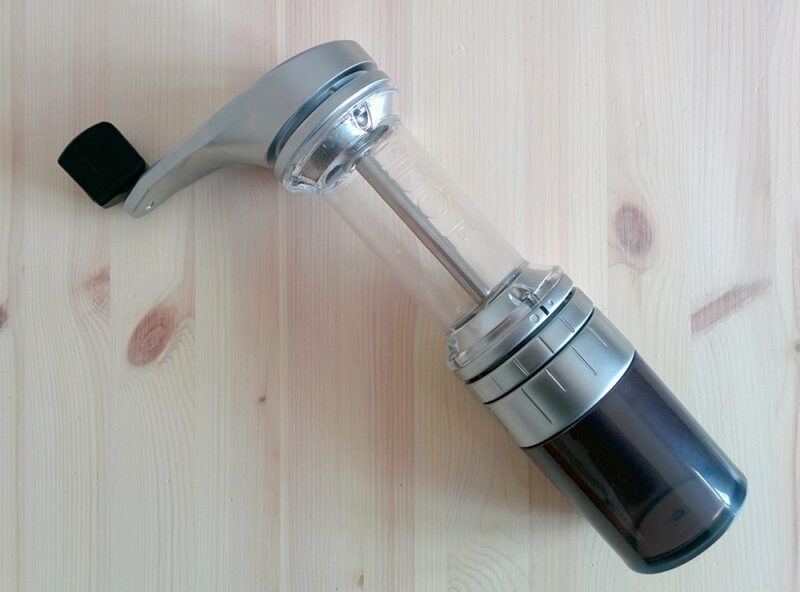 When I upgraded to a second hand BFC Junior Levetta espresso machine, a HX based on the well-known e61 group, I immediately noticed the Hario couldn’t keep up. 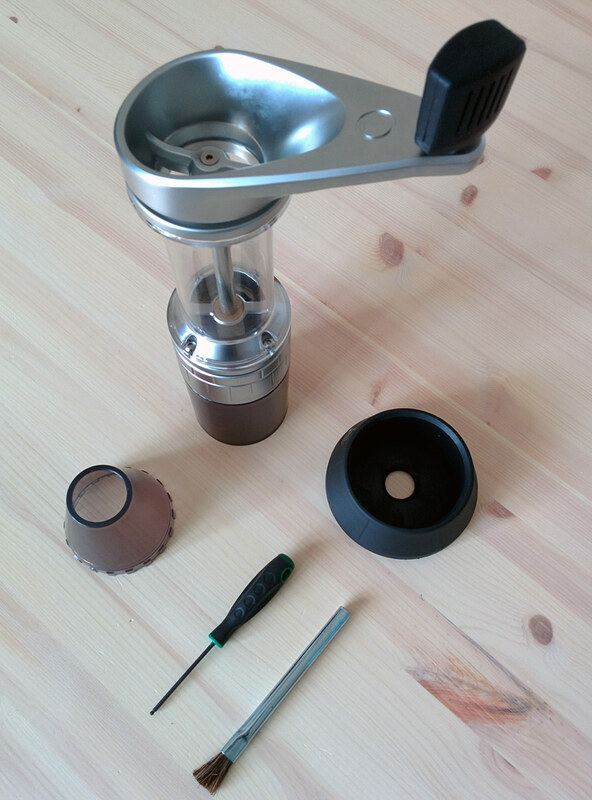 So I bought a Mazzer Mini Electronic and pretty quickly changed the burrs to those designed for the Mazzer SJ. I still have and use this combination and am really happy with it, although I would like to try a lever machine some day. But that’s a different story. After using the Mazzer for a few years I got a little annoyed by the ground coffee that stays in the machine, gets old and is pushed out when you make the next shot. 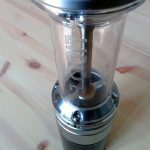 This phenomenon is known as grind retention and is the starting point for many threads on coffee forums such as Home-barista.com. 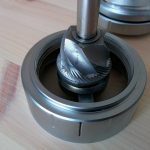 A lot of grinders are developed for commercial environments where the time between shots is a lot shorter, so retention probably isn’t such a big problem. At home this is more relevant, so at one point I started to throw away the first three or four grams before making coffee. After doing this for quite some time I got a bit annoyed by the fact that I wasted so much coffee and started looking for an alternative. 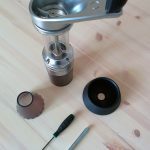 I came to the conclusion that manual grinders often have low retention and I started looking for one that had a grind quality that is similar to the Mazzer. Of course Orphan Espresso is one of the usual suspects if you are looking for a competent hand grinder and they coincidentally just released a new manual grinder that was an improved version of the Lido 2/3: the Lido E. This was supposed to have a finer thread adjustment ring so it should be easier to find the appropriate grind for espresso. 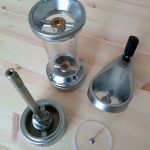 I had to order the grinder in the UK at Coffee hit, because it wasn’t available in Holland. It arrived a few days later and when I opened it I was impressed by it’s initial looks. Upon closer inspection there were a few small flaws that, although nothing major, prevented the Lido E from being perfect. The first was that the Lido had something that felt like burr rub in the espresso grind range. I withheld myself from taking the Lido E apart to see if I could do something about it. After reading that the Lido could be stiff in the beginning I just decided to start grinding coffee and see what would happen (other people also talked about this and did the same). It soon disappeared and there is only a small noise left that I can hear during a small part of every revolution. After a while I took the Lido apart to inspect the burrs, but there are no signs of actual rubbing so my guess is that it isn’t the burr but a little friction in the bearings. The other things that I found were some small marks in the anodisation of the aluminium and the rubber stand that comes with the Lido E. It looks like the finish before anodising wasn’t even and this still shows after anodising the metal parts. And the rubber stand is a bit loose fitting: it won’t prevent the Lido from falling over but it will protect the underside from scratches. Even though the fit and finish of the Lido E isn’t perfect it still works very good. 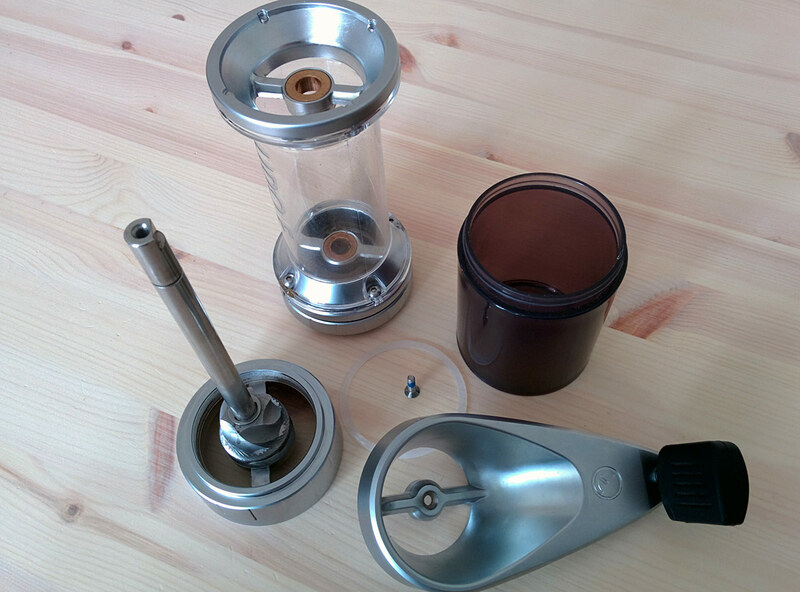 The shots taste great, no clumping of the coffee and if you wait a minute before dumping the coffee into the portafilter, the small amount of static is gone. 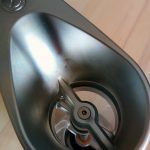 The Lido E can easily be cleaned by a brush, I use a large(r) paintbrush than the one supplied with the Lido E. And it can be taken apart by just removing one screw on top so you can clean the burrs and inside. The Lido seems to be sturdy and I think it will last a long time, but when the burrs have to be replaced remains to be seen. I will post an update after some time to give some feedback about the durability. So, is the Lido E worth the (almost) 200 euro I paid? Yes. But I can image it is too expensive for someone just starting with coffee. And for the aficionados it probably won’t perform as good as the upmarket grinders with bigger burrs. 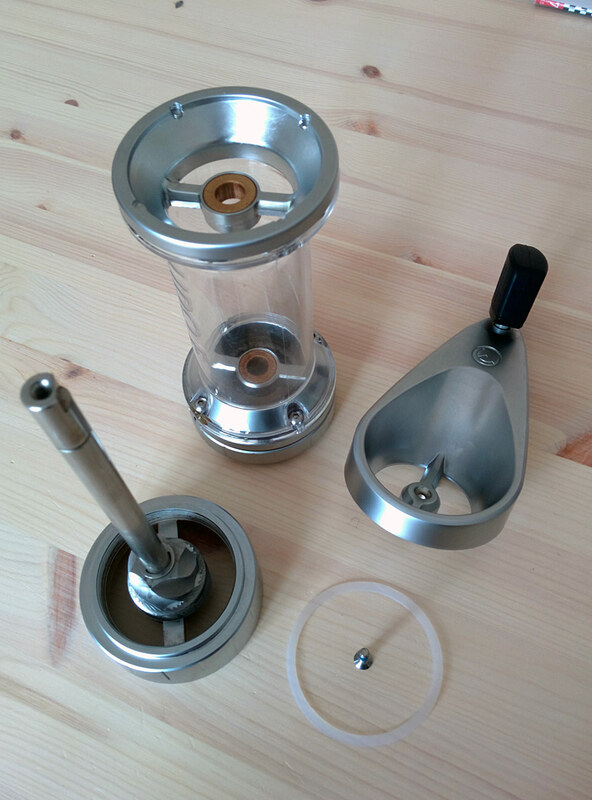 So I think it is a niche product, perfect for a small group of coffee lovers that need a second grinder for pour over coffee, or one for the holiday. Or just for people like me, who want to try something else and like a device with a small footprint that requires a small work-out. 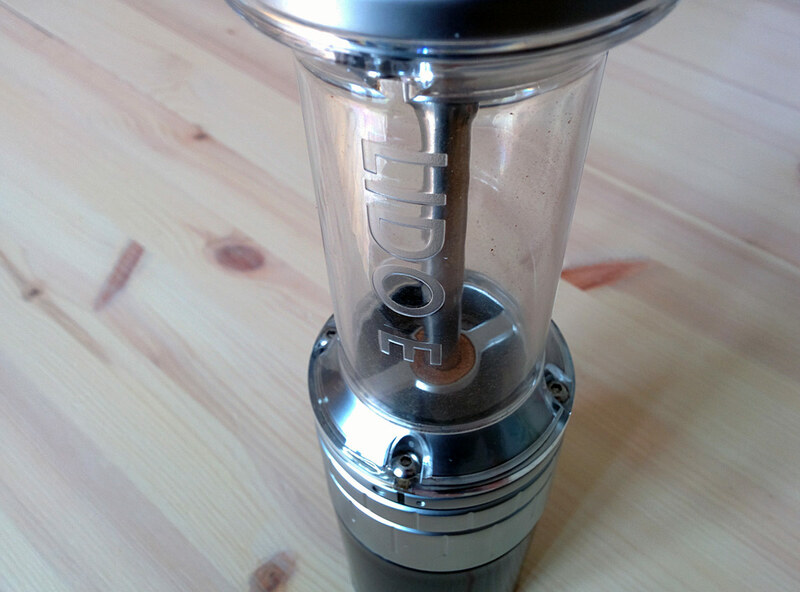 After one year of using the Lido I am still very happy with this grinder. I never went back to the Mazzer Mini E, which I recently sold because we didn’t use it anymore. The Lido is holding up beautifully: the anodization isn’t showing any marks or scuffs and it still turns and grinds beautifully. 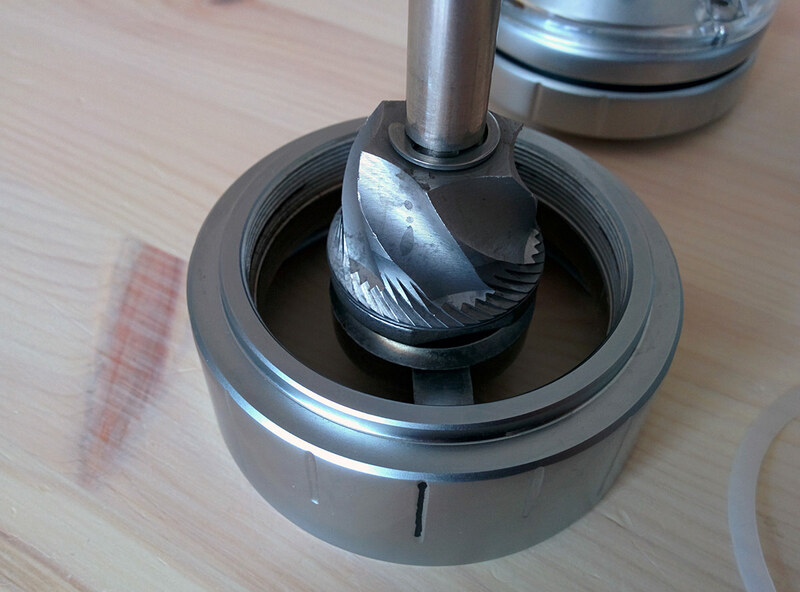 The friction in the bearings completely disappeared. The only thing that shows some wear is the plastic jar, but that can be replaced if desired. I have a spare jar that I ordered with the Lido but it is still in the box. I have cleaned the Lido a few times, which is a 10 min. job, as it comes apart by unscrewing one small bolt. Conclusion: After one year of daily usage the Lido is still going strong and looks like it just came out of the box. Highly recommended! Hello! Thank you for the review. My head is spinning trying to choose a Lido for my husband for Christmas. He prefers to use a hand grinder and only makes pour overs. The Lido E is advertised as being for espresso only, but as I look at reviews it seems to be the overall favourite. Is there one that you would recommend to me? 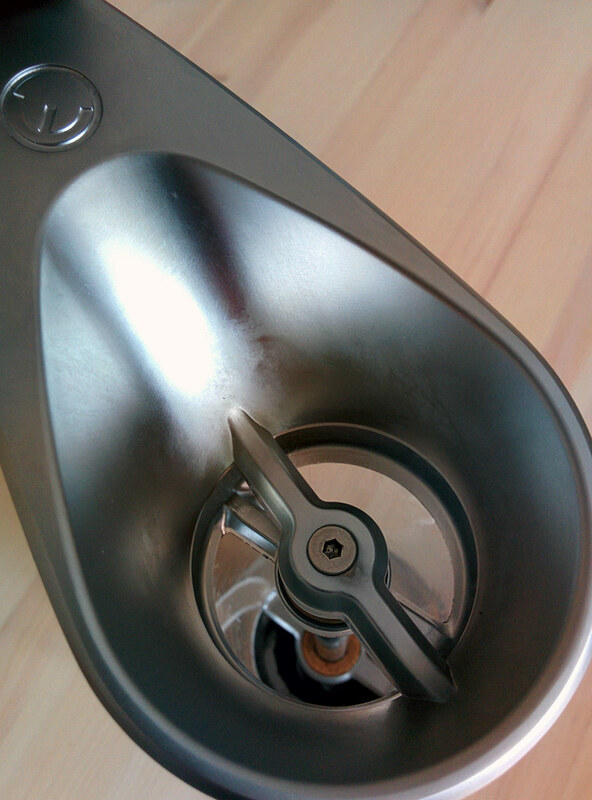 The Lido 2 & 3 are essentially the same grinder. But the 3 is lighter and has a foldable handle to make it easier to take it with you when traveling. The Lido E is lighter, just like the 3. But is has the normal handle used on the 2. The E’s new feature is a finer thread so you can fine tune your espresso grind because for espresso very small steps can make a lot of difference. All things considered, I think you can’t go wrong with the Lido E. It will do pour over and espresso both very good.